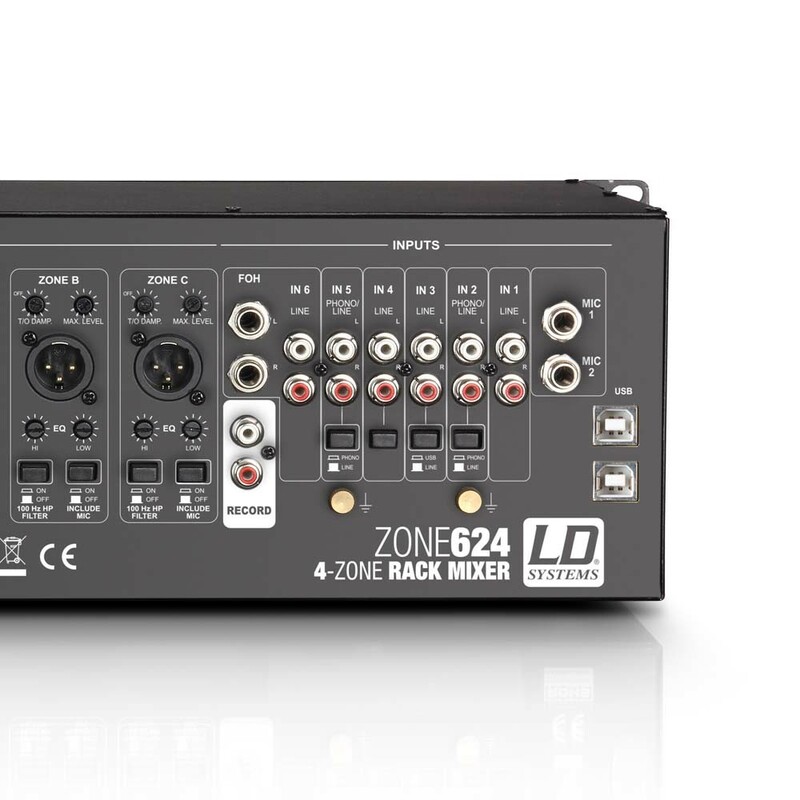 The ZONE 624 is a fully-equipped zone mixer with 6 line and 2 microphone channels, that can be assigned to a stereo or a mono master output. 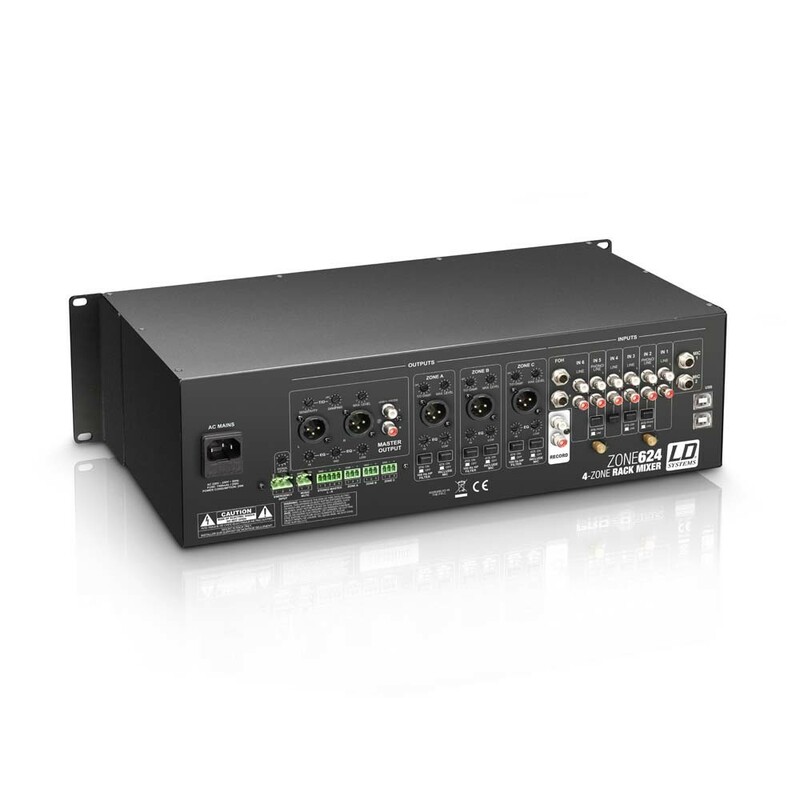 The compact 3U rack device also has inputs for an external emergency announcement system and remote- controlled switching mute. Due to its extensive connectivity the ZONE 624 is the extremely flexible control centre solution for PA systems in food outlets, clubs, hotels, fitness centres, and many other areas. 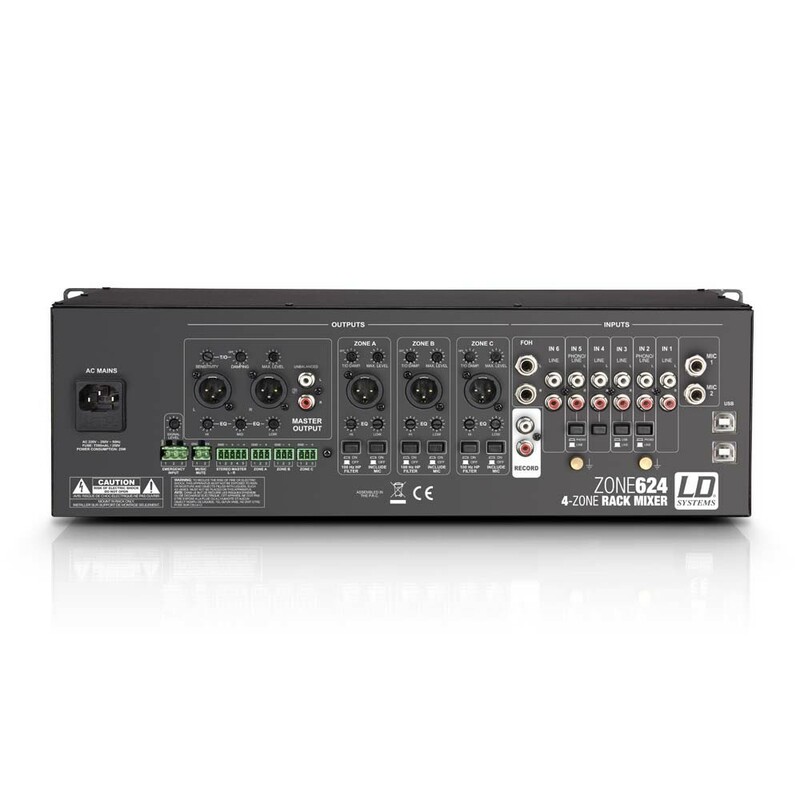 The two balanced microphone inputs have a shared 3-band EQ, 12V phantom power and Talkover functions; the Talkover attenuation can be individually set for all zone outputs on the back of the unit. 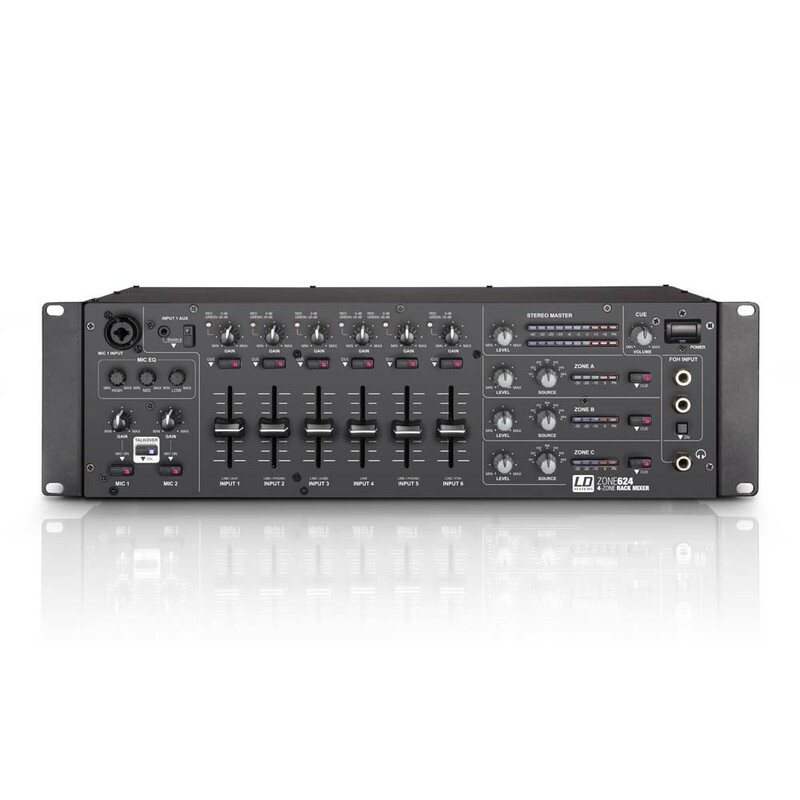 The 6 stereo input channels of the ZONE 624 are equipped with gain control, signal and peak LEDs, 45 mm faders, Cue buttons and RCA connections; channel 6, in addition with balanced TRS inputs for FOH signals. 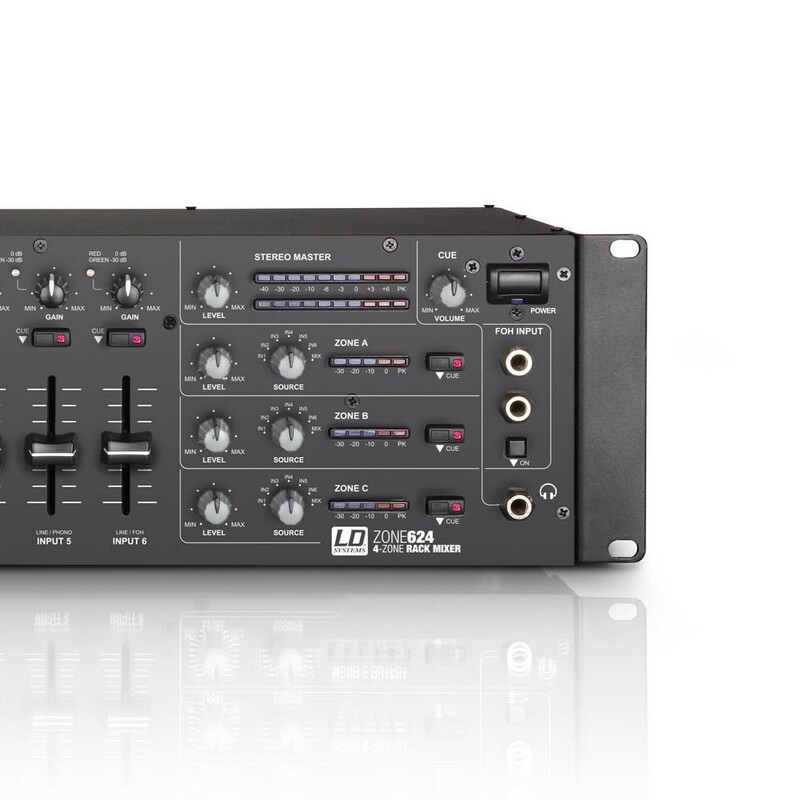 The device also has a switchable Aux input via 3.5mm mini jack and a USB port, that is used as a stereo input and output (recording out) and turns the ZONE 624 into an external audio interface. 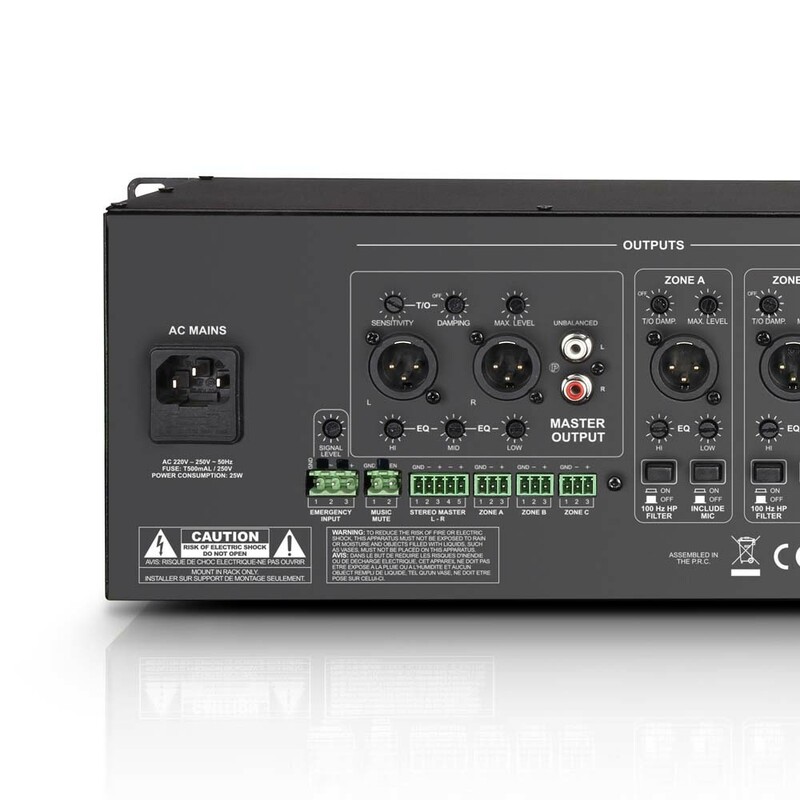 The master section outputs are electronically balanced and use XLR connectors and terminal block connectors. The stereo zone also has unbalanced RCA connectors. The maximum output level for all of the zones can be individually set. 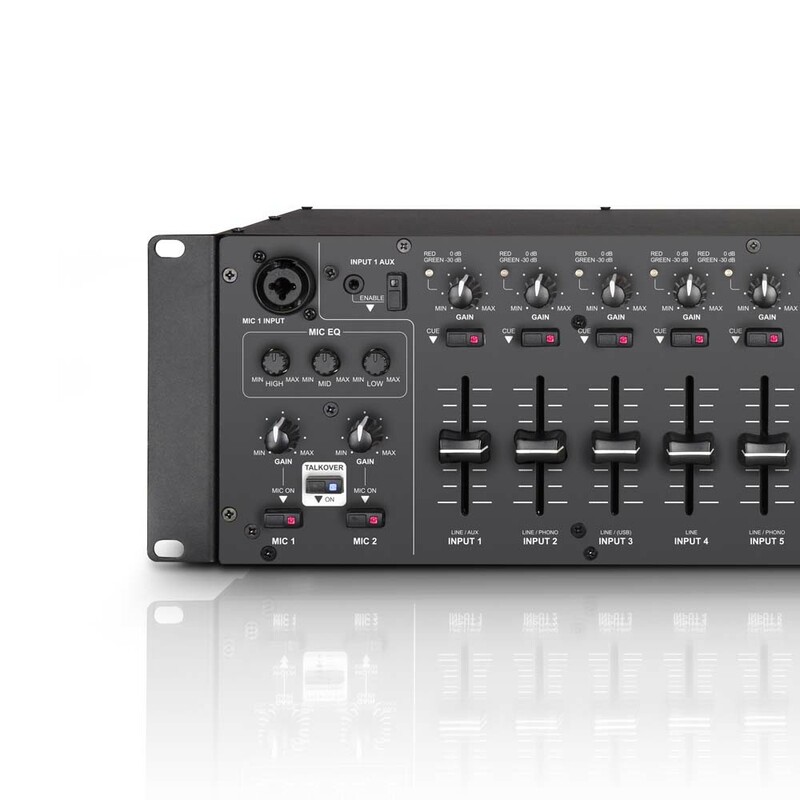 The three mono outputs of the ZONE 624 each have a 2-band EQ, a selectable 100 Hz high pass filter, and a MIC mute switch with a level indicator; the inputs 1-6 or the stereo master signal can be selected as a source. 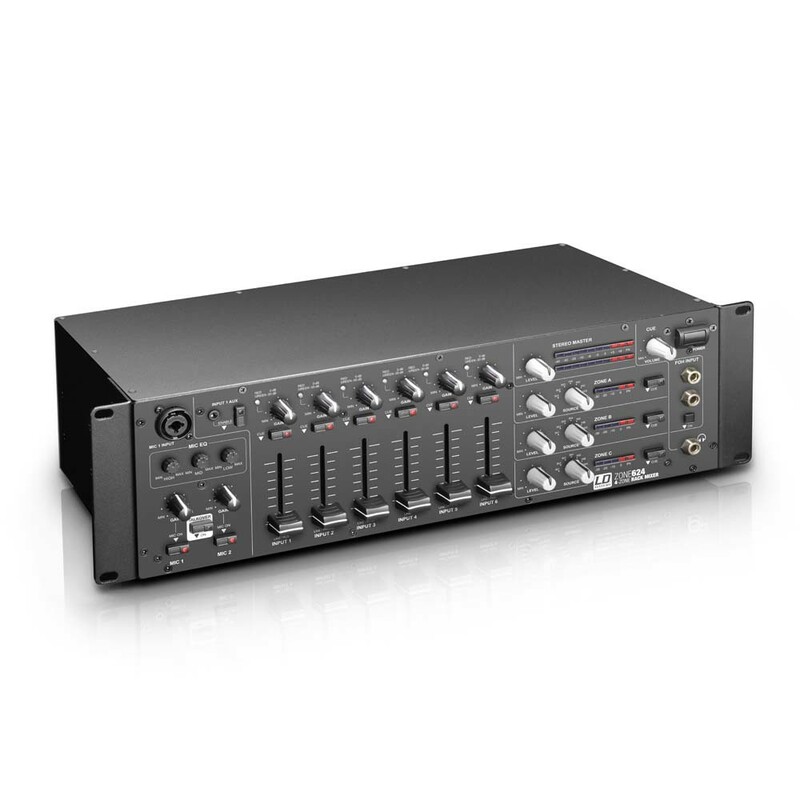 The stereo output is equipped with a 3-band EQ, a control for the Talkover sensitivity and two LED chain level meters. Furthermore, the ZONE 624 has a recording output and a controllable PFL headphone jack for previewing.